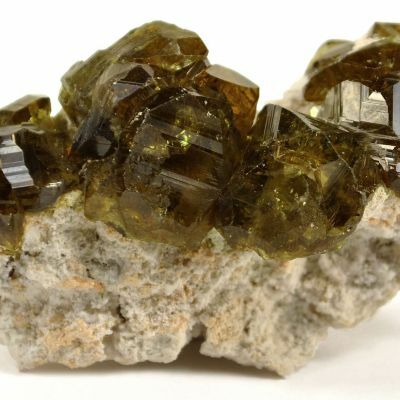 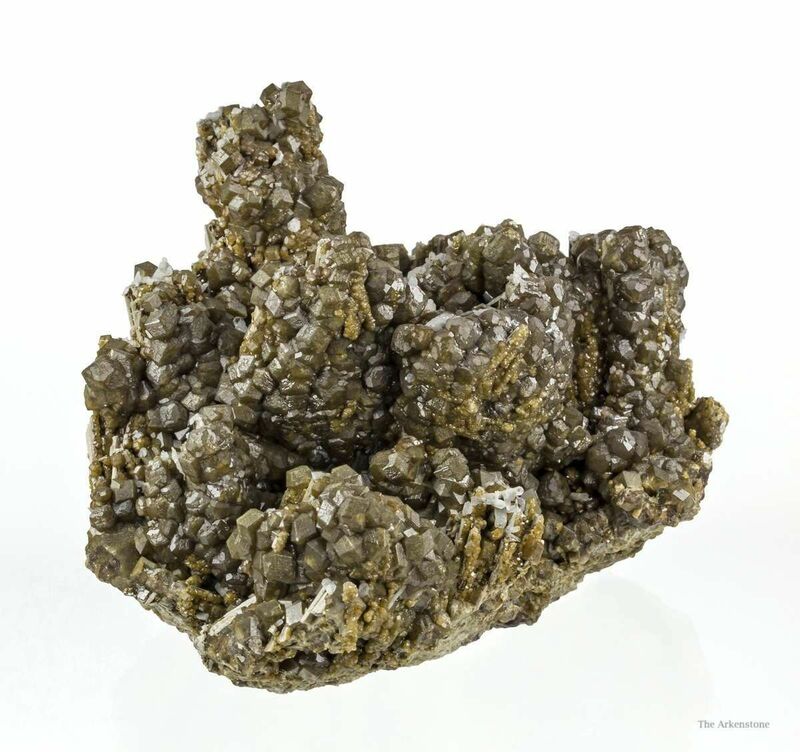 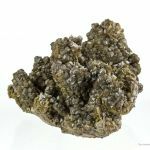 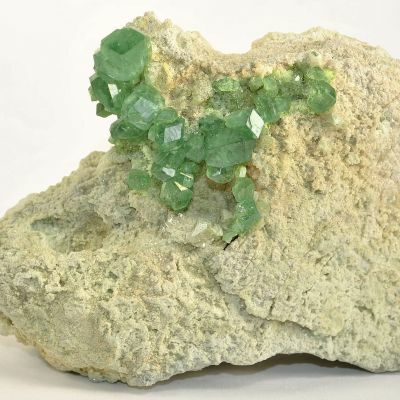 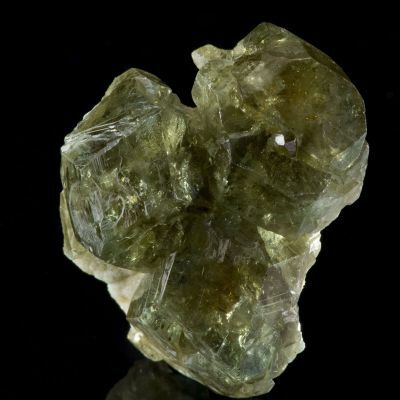 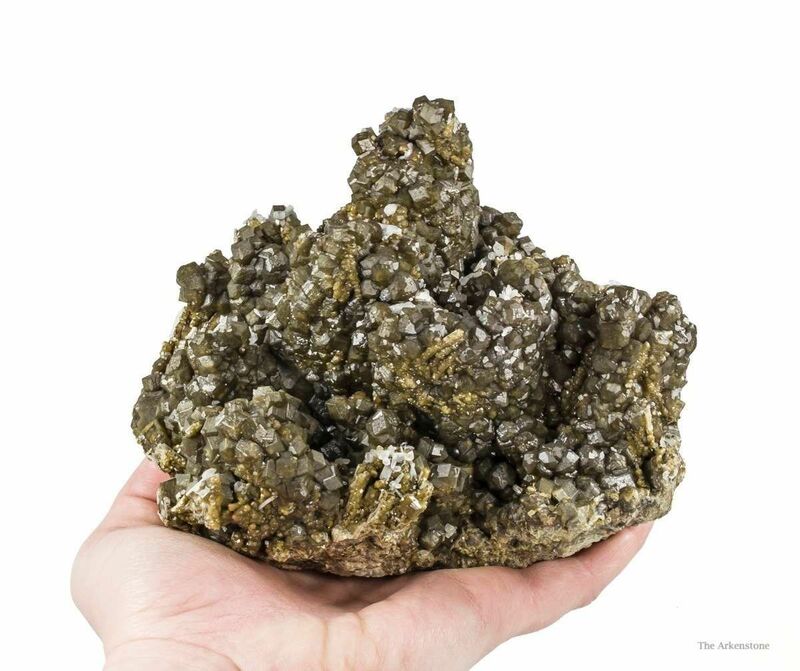 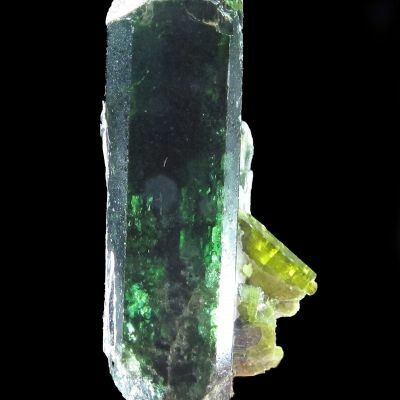 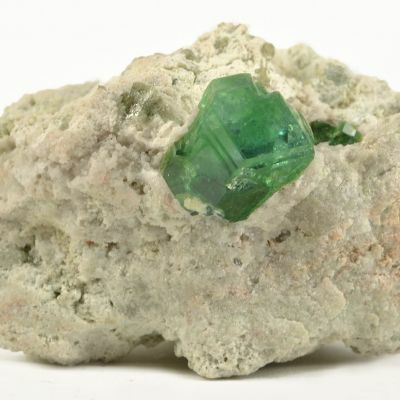 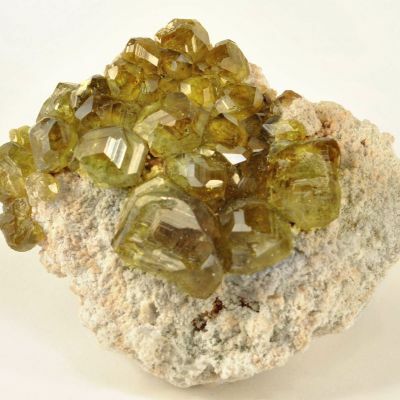 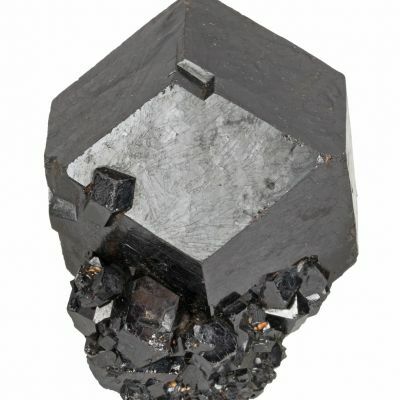 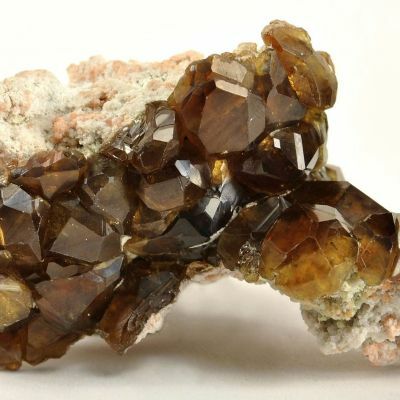 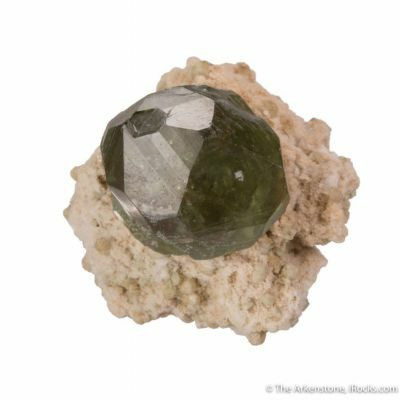 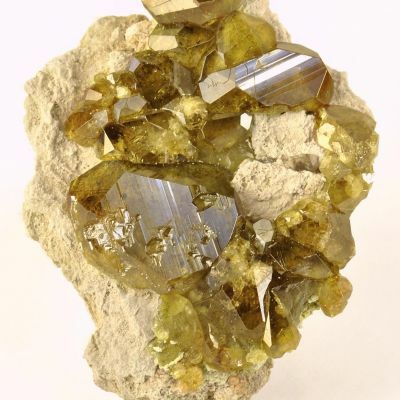 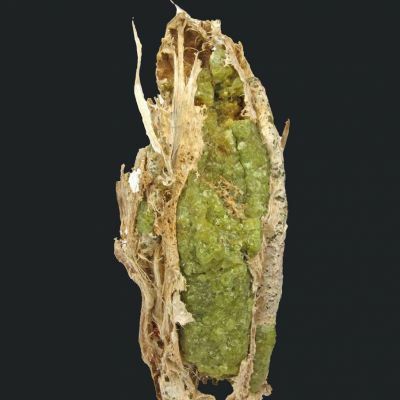 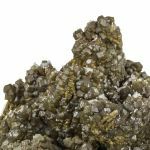 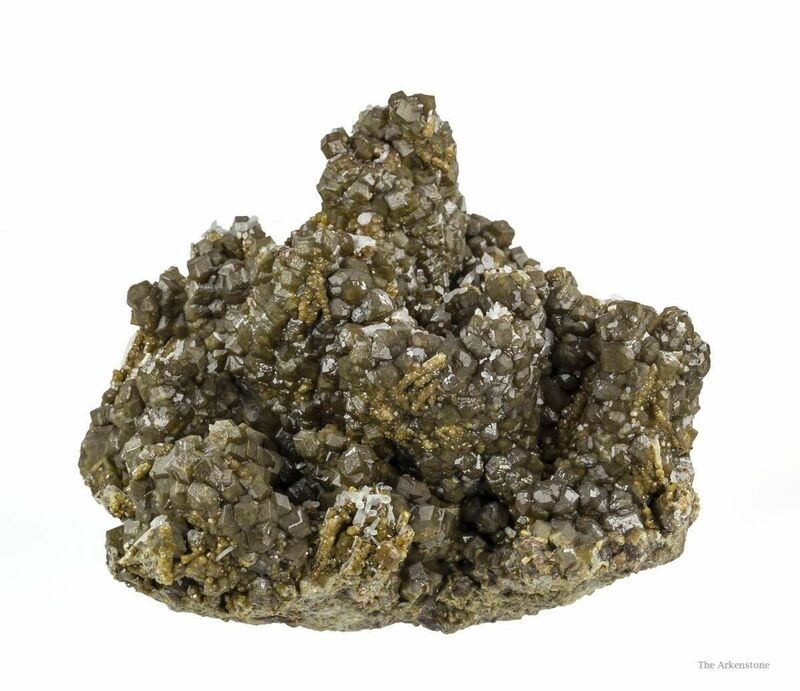 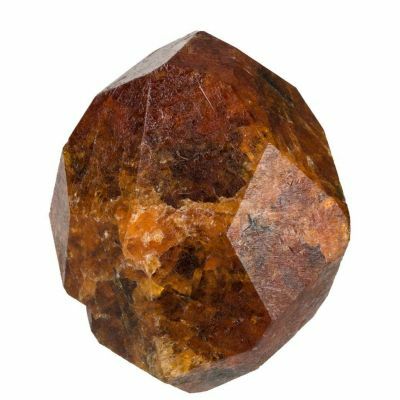 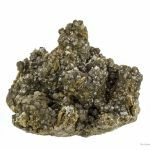 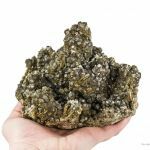 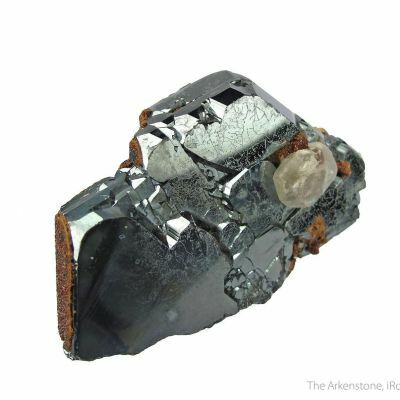 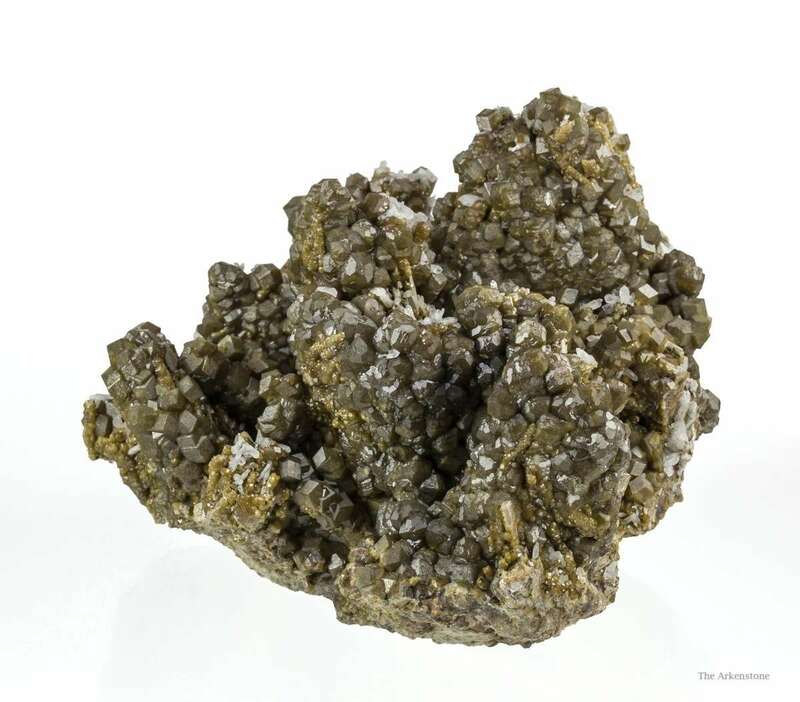 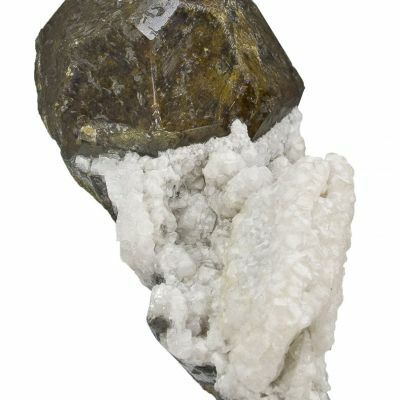 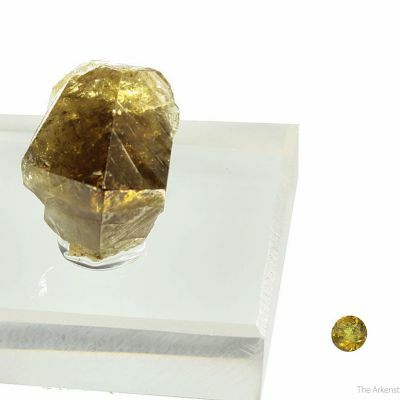 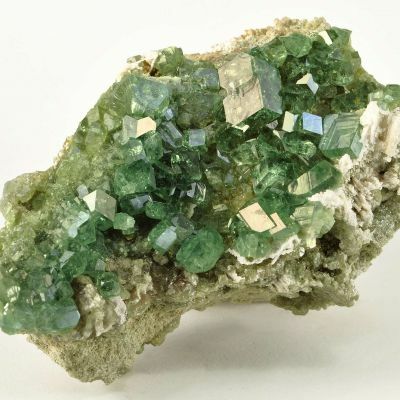 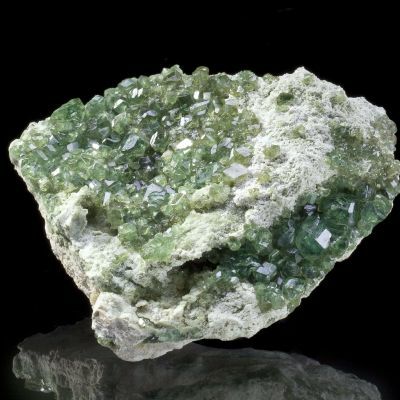 This unusual specimen features a hedenbergite matrix with vertical crystal laths, to 4.5 cm in length, which are smothered by intergrown, lustrous, olive-green andradite garnets to 6 mm across. 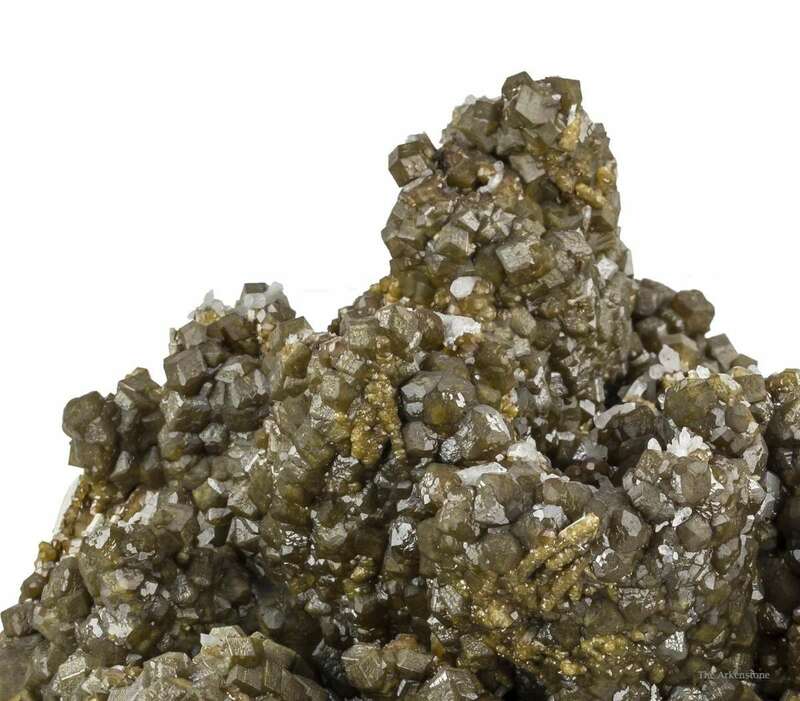 The whole specimen exhibits a mountainous landscape with valleys in between. 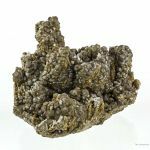 I purchased this in China in 2011, as Huanggang was really opening up. 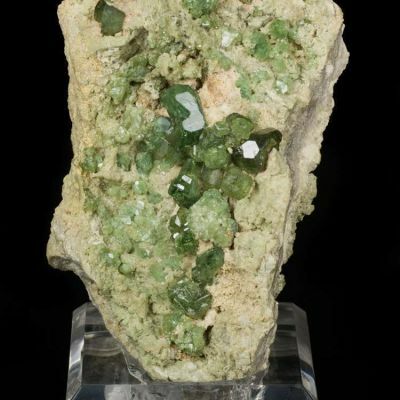 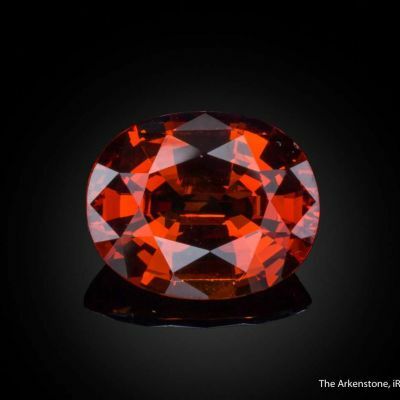 It was in my collection for several years, as I kept a systematic suite of display quality material from this mine for exhibition in Tucson (University of Arizona Museum exhibition: Crystalline Treasures - the Mineral Heritage of China) during the 2012 year. 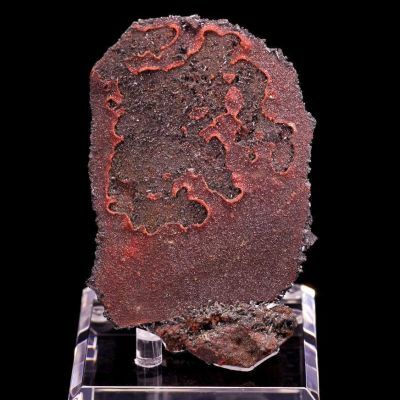 It is a fine piece that is more pristine and more 3-dimensionally interesting than others of this material I saw at the time.